Most of these resources support basic CRUD operations - get a single item, list them (with pagination), create them, edit them, delete them. Then they also have some custom operations like changing the sort order of a bunch of items, or logging in, or finding resources owned by another resource. I started out building the API as basic Nancy modules, but quickly found myself copying and pasting and renaming since so many of the actions were the same. I also had no idea how I would document all of these operations. Each action type (e.g., Create<,>) returns an object which describes the API operation - mostly metadata. This description also specifies a class that implements the operation, which is used when the operation is invoked. This DSL is processed, and then a custom Nancy module acts as an "adapter", surfacing the API operations as Nancy operations. With the DSL in place I can now generate documentation for the API. Here is an example of what the documentation page for environments will look like. The notes and annotations on each of the operations and resource types all come from metadata that describes the different conventions I'm using to define the API. 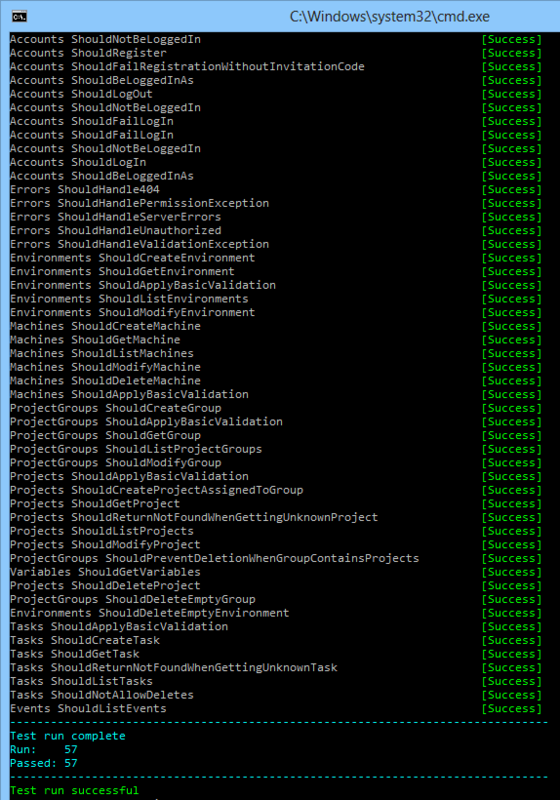 The API tests make use of a C# client for the API that we're also going to provide on NuGet when Octopus 2.0 ships. That means as a .NET developer you'll be able to use our library to integrate with Octopus rather than going to the raw HTTP API. It still has a way to go and the API probably only covers a third of what it will eventually need to cover, but the results are looking positive so far. On the one hand, I worry that trying to generalize everything is going to make the application much more complicated. On the other hand, eliminating code duplication is usually always a good thing. I'd love to hear your experiences when it comes to building API's in a simple and documentable way.